Headgear and headgear parts falls under HSN code chapter 65 of GST commodity tariff schedule. The details about GST rate changes for sale of headgear and headgear parts are being updated here. 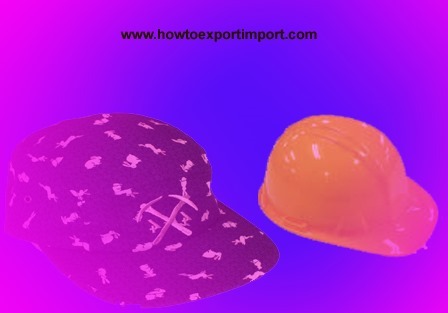 The notification changes on exemptions for GST for sale of headgear and headgear parts and other circulars related to GST for headgear and headgear are updated in this website. plaited or made by assembling strips of any material, whether or not lined or trimmed. 2. 6505 Hats and other headgear, knitted or crocheted, or made up from lace, felt or other textile fabric, in the piece (but not in strips), whether or not lined or trimmed; hair-nets of any material, whether or not lined or trimmed. from lace or other textile fabrics. 2. 6501 Hat-forms, hat bodies and hoods of felt, neither blocked to shape nor with made brims; plateaux and manchons (including slit manchons), of felt. 3. 6502 Hatshapes, plaited or made by assembling strips of any material, neither blocked to shape, nor with made brims, nor lined, nor trimmed. 5. 6506 Other headgear, whether or not lined or trimmed. 6. 6507 Headbands, linings, covers, hat foundations, hat frames, peaks and chinstraps, for headgear. In India, GST is payable for Headgear and headgear parts. However, some of the categories of business under HSN code 65 are expected to be exempted from paying GST. The list of exempted categories of business and exempted products and services under GST is expected to be released soon. IGST Act 2017, Appointment of officers. 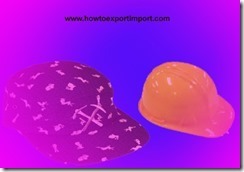 What is the GST rate on Headgear hat bodies? How much GST on headgear hats?